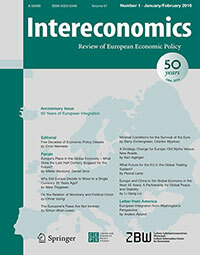 The authors contributed to the new issue of 'Intereconomics - Review of European Economic Policy' with a paper on the EU's strategy for managing the trade war. The authors argue that to minimise the economic costs of the trade war and protect multilateralism, the EU's best and only response is to retaliate. This paper was published in Intereconomics – Review of European Economic Policy, Volume 53, September/October 2018, Number 5 · pp. 260-268. The first half of 2018 has seen the start of bilateral trade wars with the US. China initially, but also the EU and others are confronted with high import tariffs on selected goods as part of the US administration’s “America First” rhetoric. The authors discuss what it means for the EU to face a threat to a long-established alliance with the US. They argue that not only are trade wars a lose-lose game, but that the EU has no option but to retaliate against US economic aggression. The EU’s best option for damage control is to defend the international multilateral system and maintain open and free trade with the rest of the world.